← Fall Colors are here! a dangerous time of the year on the big lake. Click HERE for an informative guide to some of the better know shipwrecks along the North Shore and beyond. This annual event commemorates the sinking of the freighter Edmund Fitzgerald and the loss of her 29 crew members on November 10, 1975. It is also a time to reflect on the memory of all lives lost in Great Lakes shipwrecks. The lighthouse, fog signal building and visitor center will be open. Costumed guides will greet visitors and provide historic site and shipwreck information. Throughout the afternoon, visitors can view a film about the Edmund Fitzgerald in the visitor center. At 4:30 pm, the lighthouse will close temporarily while the names of the crew members are read to the tolling of a ship’s bell. Following the ceremony, the beacon will be lit, and the tower will be open again to tour. This is the only opportunity each year when visitors can climb the tower after dark and see the lit beacon. conveniently located along the waterfront in Duluth. Billed as America’s Largest Free Walk Through Lighting Display, Bentleyville invites guests to stroll under the glow of over 5 million lights in a 20-acre park situated on the shores of Lake Superior, while enjoying complimentary hot cocoa, cookies, popcorn and roasted marshmallows! Get your photo taken with Rudolph, visit with Santa to share your Christmas wishes (kids 10 and under will receive a new knit hat after visiting with Santa) Mrs. Claus will also be at Bentleyville to tell stories and hand out candy canes! Thanksgiving Weekend is the Annual AMSOIL Snocross Races held at Spirit Mountain in Duluth. held on December 1st & 2nd, 2018. Julebyen (pronounced YOOL-eh-BE-en) means “Christmas Village”. It is a centuries-old Scandinavian and German tradition celebrated with ethnic foods, crafts, holiday decorations, and music. 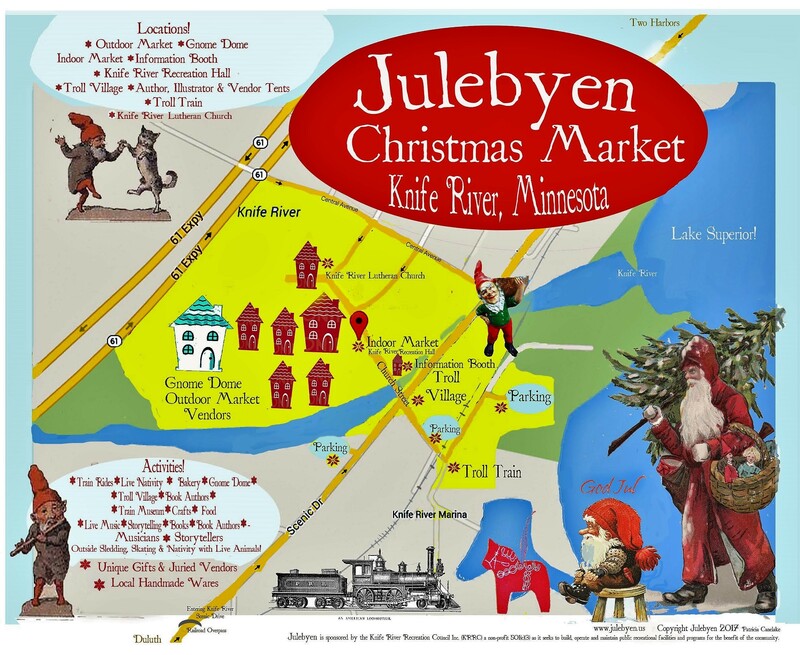 This December, Knife River (a fishing village of the North Shore of Lake Superior just north of Duluth) is home to an authentic, and unique Julebyen fest. Be sure and visit our website for current rates and specials that we may be offering. Stay 2 Consecutive Nights, Midweek, and Save 15% Off of our Regular Rates! If you qualify for AAA, AARP, or a Military Discount – book direct on our website to receive a discount!